The satin short-sleeved chemise has elastic in the neckline and sleeves for a comfortable fit. It comes in your choice of color. It will come hemmed at 60" from shoulder seam to bottom hem unless a shorter length is requested. 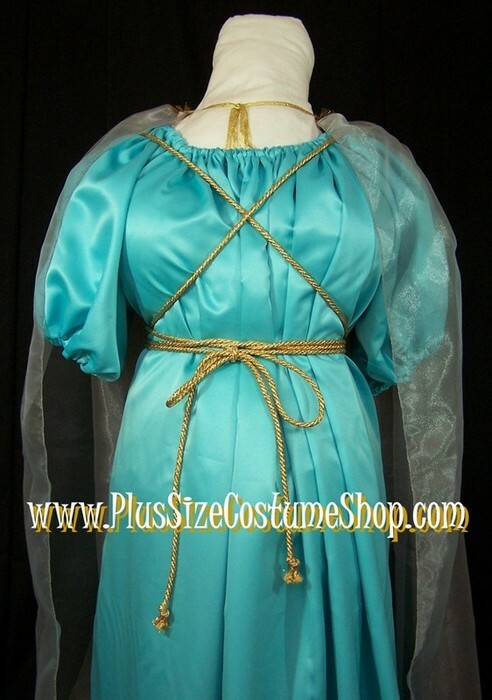 The cape is made of organza and is trimmed around the neckline in gold or silver trim (to match the rope belt). It comes in your choice of color. It ties around the neck with a ribbon. The rope belt comes in your choice of gold or silver. 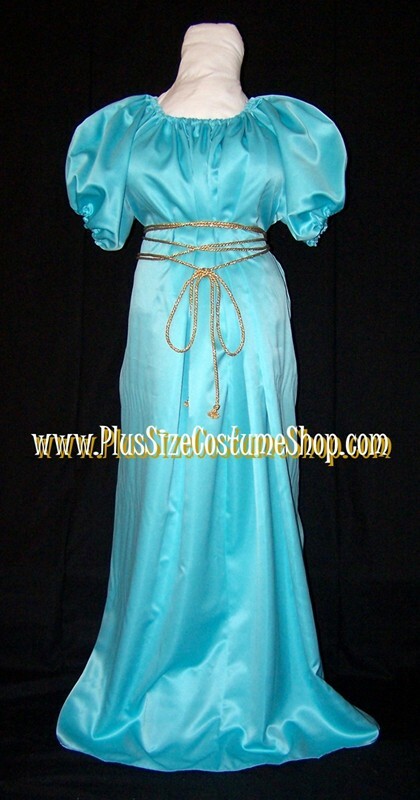 It is long enough to tie around the body like shown.